Every time I go diving I notice people with amazing tattoos; sailing ships, pirate skulls, Indian gods, sharks and fish. 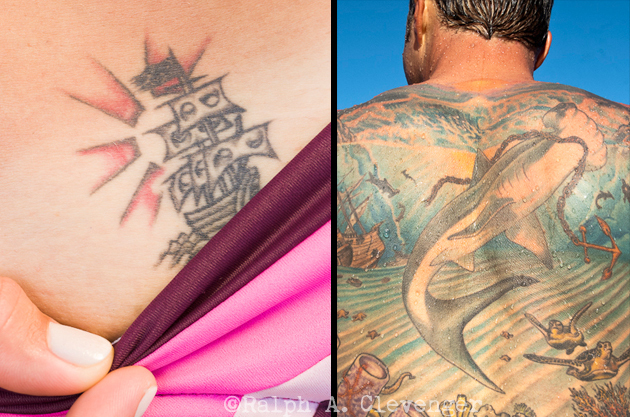 I started photographing the tattoos and then realized part of the story is where we were; out at sea on a boat. So I decided to create images of their tattoos that showed not only the tattoo but also the place. It amazes me how talented the tattoo artists are and how willing people are to go through the pain and patience of getting their bodies turned into canvases.